Small businesses are among the biggest employers in nearly every country. In India, there are 51 million formal and informal small businesses. They employ 117 million people, or about 40 per cent of the labour force. Yet, only about 5 million small businesses have access to small credit. To fund the unfunded—the notion that unsecured loans should be made available to these small businesses—is the right objective. However, when implemented through government schemes and targets for public sector banks, the policy harked back to the old command and control framework, and, not surprisingly, failed to deliver credit and job growth. Lending to small businesses is costly for a financial firm. Initial assessment costs are high, risk and business plans have to be assessed, and so the transaction costs per loan are high. In addition to initial assessment costs, the costs of monitoring the loans, collecting interest and principal is also high. Banks and Non-Banking Financial Companies (NBFCs) choose to lend to small businesses if their business model is attractive. Besides, the decision depends on their size, interest rate, ability to choose to take collateral or use a credit registry and so on. If there is competition for getting customers and expanding the market share, the market for small business loans thrives. In a market economy, the way forward would have been to introduce competition by giving more bank licences so that bank credit expands. Right from the era of bank nationalisation, India chose to use a public sector bank as an instrument of policy rather than a business that should make profits. Moreover, private banks were discouraged. What would normally have been done by banks in the business of banking was done by diktat. As a consequence, when it came to the question of lending to small businesses, the government devised a policy. Banks were told to lend to small businesses on a priority basis. Loans to small scale industry were part of the RBI’s Priority Sector Lending framework. This was in turn part of the banking policy framework that was deciding how much of household savings were going to go to government, to agriculture and to exports. The lack of other avenues such as a bond market encouraged large borrowers to go to banks. And, banks who did not like to take risks preferred triple A-rated companies compared to small businesses. In this environment, credit to small businesses had to be mandated. More recently, when loans to small businesses were to be the engine of job growth, banks were tasked with offering MUDRA loans. An interest subvention scheme was launched, and three sizes of loans – Shishu, Kishore and Tarun—were created. For MUDRA, each bank was given a target and these banks then gave branch managers targets to meet. Not surprisingly, banks saw this as a government directive, an unattractive proposition, where a risky uncollateralised loan was to be given. With the fear of loan waivers, smaller loans were seen to be safer. 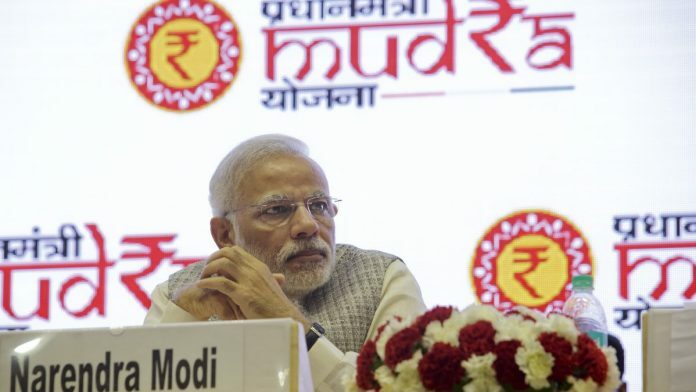 New bank loan growth under MUDRA was slow. It was only in NBFCs—where the regulatory environment was more lax and where more entry was permitted—that credit growth to small businesses grew fast. A report by Microsave shows that bank branches handpicked customers based on the ‘50 Metre Rule’ and ‘personal relations’. The ‘50 metre rule’ was to offer loans to customers who were within 50 metres of the bank branch. In many cases, they were offered loans regardless of whether they wanted them or not. To meet targets, customers known to the branch were preferred and predetermined loans of Rs 10,000 to Rs 50,000 were offered irrespective of their needs. Those who approached the banks themselves, who were hitherto unknown, and lived far away, were least preferred. Going to a bank to ask for a MUDRA would rarely get you a loan. The bulk of the loan accounts were in the ‘Shishu’ category and the average loan size was Rs 52,739. These were akin to the loans given to women in self-help groups, which now qualified for the MUDRA loans. It is worth mentioning that they were not sufficient to employ even one person for one year. In this environment came the demonetisation drive under which small businesses faced critical cash flow problems. Their business was made difficult by the disruption caused by the note ban and the compliance cost of the Goods and Services Tax (GST). Many could not repay their loans. While the RBI relaxed provisions in this regard, the growth of new small business loans slowed down. In addition, the IL&FS crisis meant that NBFCs were not able to raise money. Thus, NBFC credit growth to small businesses also slowed down. At a time when investment in large projects had not recovered from the effects of the global financial crisis, credit to small business could have provided employment growth. India needs financial sector reform for a bond market that the government and large firms can borrow from. In order to achieve the objectives of sustained credit growth, reform must include competition in banking and entry of private banks, privatisation of public sector banks and improved regulation and supervision. This could add more than two percentage points to the GDP growth and even more to employment growth.